Hi! We're Mark & Linda. Welcome to our Straw Bale website. 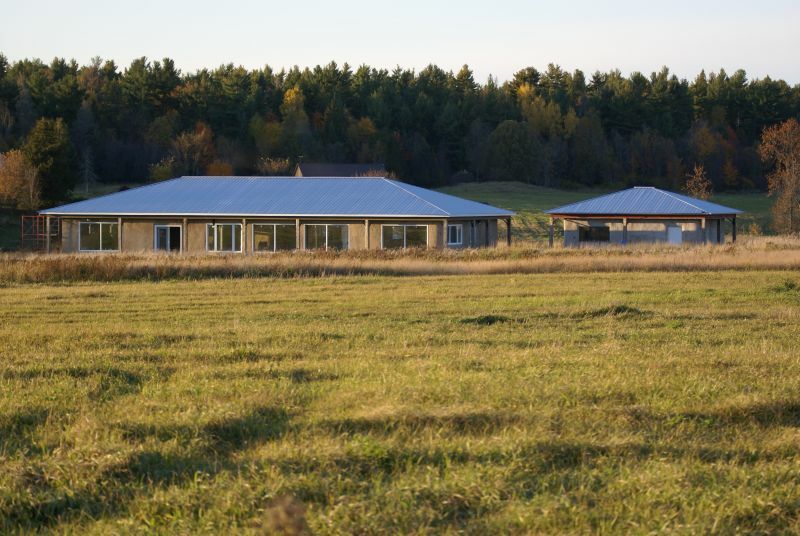 This website documents our snow FINISHED Straw Bale house just outside the town of Pakenham, Ontario, Canada in Lanark County. First, we built the garage. It was our 'practice building': we made lots of mistakes ... but saved lots for the building of the house!